From idea inception and product design to patent and trademark prosecution to licensing and legal opinions to dispute resolution and litigation, Jeff Gray advises on the full spectrum of intellectual property protection and enforcement. Jeff’s in-depth knowledge of IP law and its practical application to business allow him to provide solutions that parallel his clients’ commercial and strategic objectives. For three decades, Jeff has helped safeguard cutting-edge innovation in an array of industries and economic conditions. He has been active in the prosecution of U.S. and foreign patent and trademark applications for individuals, startups, fast-growth and middle market businesses, and Fortune 100 companies. Jeff’s practice also includes the rendering of patent and trademark clearance and infringement opinions, as well as the preparation of patent and trademark license agreements. Efficient and value-conscious, Jeff is able to work effectively with entrepreneurs, inventors, business executives and in-house counsel alike. He takes steps to deliver s the strategic legal counsel his clients need to realize their distinct vision. 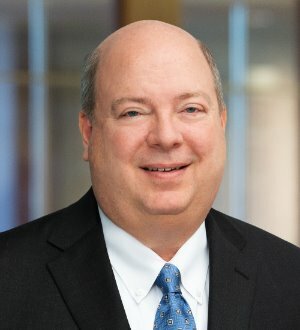 Having served as outside general IP counsel to many of business clients over the course of his career, Jeff is well-versed in a multitude of technologies. He assists clients in managing and expanding their IP portfolios by offering practical guidance on global IP protection and brand development. Jeff is valued for his ability to balance and blend legal solutions with business imperatives, always focusing on his clients’ specific agenda and goals. With a background in civil engineering, Jeff is a registered professional engineer in the state of Illinois.